Eighteen year old Alexandra has finally made it out of her abusive mother’s house alive. Now, going to St. Norbert College in the small town she grew up in; she wants to experience living her own life, free of abuse. But on the night she meets Jason Roberts; her fate has something different in mind. Alexandra and Jason have a strong connection but the closer she gets to him, the further he shuts her out. That doesn’t stop Alexandra’s heart from falling for him and she’s determined to let him know. The night she decides to tell him, he never shows up; leaving her to wonder about the mysteries that hold him. After months of mourning his loss, Jason returns to not only let her know that he can’t love her but to wish her well on her next relationship. Heartbroken for the second time by the man she loves, Alexandra decides to move on with what others told her to be “the perfect man”, Zac Millington, but as time goes by she realizes that things were never as they seemed…as he seemed. If you wake up one day and you’re living you’re worst nightmare, would you take the chance to change it or convince yourself that it’s what you’re really meant to be living? 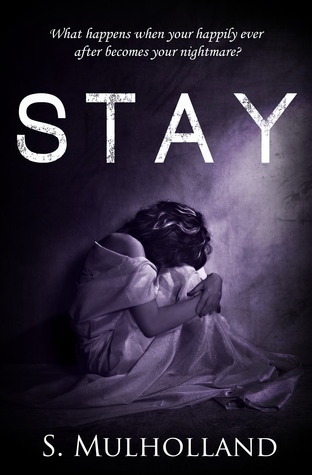 Stay is a romantic depiction of how two people that are meant to be together are torn apart by the one thing they both have in common. 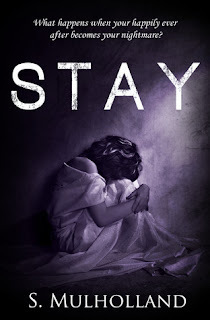 As they both go through their own versions of abuse, will they be able to stay after finally finding each other again? WOW! What a crazy and intense story. I love Alexandra. Her struggles have made her the person she is today. She comes from a the worst homelife that you could imagine. But, she survives and heads to college. It's there that she meets Jason. I love Jason as first but he has a secret. (One that I won't spoil). Alexandra falls further and further in love with him. They need up planning a date together and she is going to express her feelings, but he never shows. He stands her up and she doesn't see him for a very long time. As time goes she never stops thinking about him, but she moves on to Zack ... HATE HIM!! HATE HIM!!! GGGRRR!! Through twists and turns she sees Jason and Zack (the jerk) and her are married. However, THERE IS A MAJOR TWIST IN THE STORY THAT I DIDN'T EVEN SEE!! I thought it was a little "too fast". I wish there were more "fillers" dates, more college, etc. I normally like stories that push through. But I wish this one had more. I enjoy it and will read more from the author.